Are you looking for Champaign-Urbana Christmas shows, concerts and holiday performances? You are in luck. There are many Christmas performances around Champaign, Urbana, Monticello, and other locations this November and December. Champaign-Urbana Christmas holiday performances range from single performance shows to shows that run through the whole season such plays, musicals, concerts, and of course the ballet. First, we want to thank The Virginia Theatre for sponsoring this guide. Did you know that Rudolph the Red-Nosed Reindeer: The Musical! is coming to town on Thursday, Dec. 6 at 6:30 pm? Don’t miss this charming holiday stage show based on the animated TV classic! Come see all of your favorite characters from the special including Santa and Mrs. Claus, Hermey the Elf, Bumble the Abominable Snow Monster, Clarice, Yukon Cornelius and, of course, Rudolph, as they come to life in Rudolph the Red-Nosed Reindeer: The Musical. Tickets are available and start from $32.50 for kids (12 and under) and $52.50 for adults. Go to thevirginia.org to buy tickets online. Don’t miss seeing Rudolph on stage, on Thursday, Dec. 6. 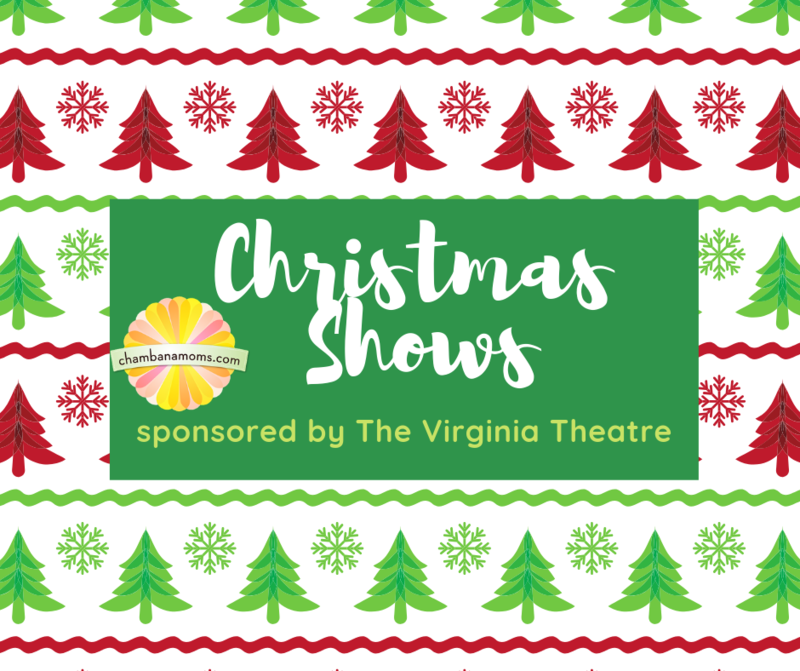 The following list includes holiday traditions such as The Nutcracker, and shows with tickets $15 or less (and some cases, free!) This listing includes family-friendly shows only. 98 Degrees at Christmas. Last year, 98° released their first full-length Christmas album in 18 years, Let It Snow, to glowing reviews from both fans and critics alike. Wed, Nov 28, 2018 at 7:30pm. Tickets $49.50 to $99.50. Jewel’s Handmade Holiday Tour features Holiday classics, Holiday originals, and classic Jewel songs alongside special guests and family members. Tickets $45 to $129. Saturday, Dec. 1 at the Virginia Theatre. Behold the Lamb of God: The True Tall Tale of the Coming of Chris features an all-star cast of Nashville songwriters and session musicians performing original folk-roots infused rendition of the Christmas story. $25-$40. Wednesday, Dec. 12 at the Virginia Theatre. Little Theatre on the Square presents Believe…The Miracles of Christmas a new Christmas musical for the entire family. Located in Sullivan, about an hour away from Champaign-Urbana. Playing Dec. 7-16, tickets $25. The 2018 Beef House Christmas Show features dinner and a holiday variety show in Covington, Ind. (just past Danville, about 50 minutes away). Dates between Dec. 13-21. $45 per person.